Captain Jack plans to lure in new players thanks to a pirate’s treasure in bonus funds. This casino hopes to sway new customers thanks to that enormous welcome package – more of that later! – but there are some concerns with Captain Jack’s Casino. The lack of a recognized European licence is a major red flag and the selection of games is not of the highest order. 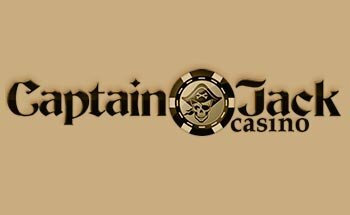 WHAT IS Captain Jack Casino? Captain Jack is a pirate-inspired casino which first welcome guests on board back in 2010. This casino is all about the American market, but it is licenced under the Costa Rica jurisdiction which leaves players without too much assistance if they have any problems. They try to compensate for this with an eye-catching bonus, and there is no doubt that when you are throwing out the kind of bonus cash on offer here it is difficult to ignore. Okay so here’s that bonus number you’ve been waiting for: $11,000! Have you seen a bigger casino welcome bonus out there? There certainly aren’t many to beat that one. But before you run off to sign up with Captain Jack let’s dig a little deeper into this offer. This promotion is broken down into no fewer than 10 different offers, 8 of which require a new deposit. The downside of this offer is that there is a 30x deposit plus bonus wagering requirement before a bonus can be released, and you cannot claim a new one until you have either withdrawn or used up your previous bonus. So it is unlikely that you will be able to cash out much of this bonus, but then again it is a very tempting prospect and some players will manage to make a nice profit. Nothing too unusual in terms of the payment methods you can choose from at Captain Jack Casino. Visa and Mastercard debit and credit cards are accepted at just about every online casino, and this one is no different. Because it is a US-friendly site, you will also be able to use American Express. Other payment methods include e-wallet Neteller, bank transfer, check and Bitcoin payments. Note that there is a $2,500 weekly withdrawal limit, and the minimum withdrawal is set at $100. There have been player complaints related to delays in receiving pay-outs from this casino, which is obviously a concern and something to be aware of. The games selection at Captain Jack is necessarily limited by the lack of licencing for this casino. This means that the casino is powered entirely by Reel Time Gaming. If you are a fan of this company then great, but otherwise you may get frustrated by the lack of choice. You will find around 150 games available at this casino, about 100 of which are slots and the rest table and slot games. What you will not find is a live dealer casino, unfortunately. Communication with Casino Jack and his merry band is via live chat, messaging of on a toll-free number from North America. Despite those channels being available, there have been mixed reports as to the standard of customer support available. Some reports suggest long delays before answering emails and sometimes no response. Communication is important, and it may be that there is a connection between slow responses and the amount of queries arriving about slow processing of withdrawals. There are a very large number of countries on the excluded list for Captain Jack, so this just won’t be an option for many people. If you are based in North America you may have your head turned by that impressive bonus and decide to sign up. If that is the case, we suggest you don’t invest too much money until you are able to test out the withdrawal facilities on offer here, due to those numerous complaints. It may be that Captain Jack is more shipshape now than when the majority of those complaints were made, but proceed with caution. OK so the bonus offer is pretty impressive. Look beyond the surface though and there are some issues with this pirate-themed casino. The lack of a recognised licence, issues in the past with slow payments and a high minimum withdrawal are all problems. Plus, this is a very limited selection of games when compared to some of its rivals.